❤Materials: Food grade silicone heads（detachable),food grade BPA-Free plastic handles(with holes for hanging). ❤Size: Small spatula 23.5 x 3.5cm,Medium spatula 25 x 6cm,Large spoon-style spatula 25 x 6.5cm. 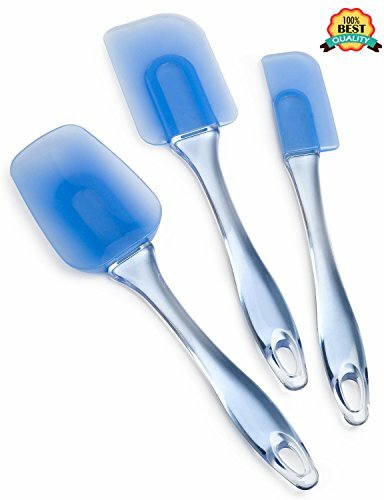 ❤DOSSY 3 piece set spatulas are very effective for scraping batter, eggs, sauce, etc. from mixing bowls and pans. ❤DOSSY silicone spatulas are environmental,nontoxic,non-stick,durable,flexible,the heads can pull off but will not fall off when used,they are easy to use and clean in either the dishwasher or by hand.